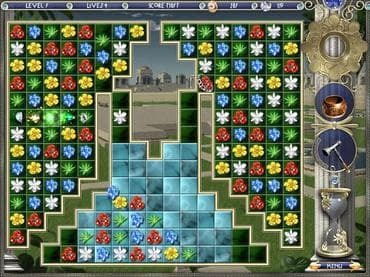 Journey to the ancient land of Babylon as you explore a spellbinding match-three paradise! Match alluring flowers across 150 amazing levels, then test your green thumb as you restore the legendary Hanging Gardens to their former majestic glory! Plant and nurture a bountiful harvest of blossoms to recreate one of the ancient Seven Wonders of the World! But don't neglect your gardens or you may suffer the wrath of the goddess Ishtar! Free Game features: - Play 150 exciting levels; - Enjoy two game modes: Timed and Relaxed; - Construct seven majestic palaces with their beautiful gardens; - Plant and nurture bountiful harvests of blossoms; - Save the gardens to your desktop as wallpaper. If you have questions about Babylonia game, please contact us using this form.